Ticket sales for the 106th Grey Cup are off to a stellar start after going on sale just four days ago. To date, 51,000 tickets have been purchased for this year's game at Commonwealth Stadium in Edmonton, which leaves just 4,819 seats remaining for the big game on November 25. Tickets for the Grey Cup are being sold through Ticketmaster, but local fans can also purchase in-person at Commonwealth Stadium. The regular season kicks off on June 14 with the Edmonton Eskimos visiting the Winnipeg Blue Bombers on the TSN Network. 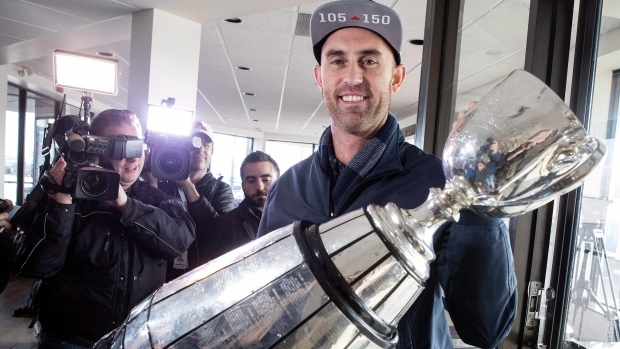 Last year's Grey Cup champions, the Toronto Argonauts, officially begin the defence of their title on June 15 when they visit the Saskatchewan Roughriders, which can also be viewed on the TSN Network.